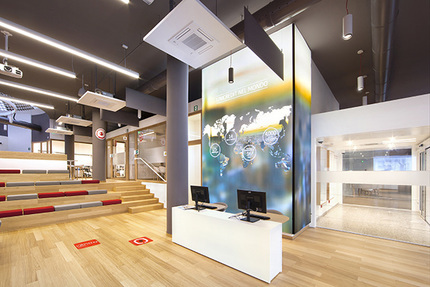 Corporate headquarters, incorporating new digitally enabled flagship branch, expertly implemented for UniCredit by Principle. - Intense cooling for the hardware that was discreet to the customer. Following the successful execution of the project, Principle then went on to roll out the solution at each flagship branch, with smaller packages developed for the different retail formats that the brand offers its clients.